We’ve taken great care to ensure that your visit will proceed as stress free as possible. When you first check in you will be asked for your paperwork as well as a copy of your insurance card and drivers license. For added convenience you can download and fill out your paperwork before your visit <download here>. If you have not been able to do this in advance, you will be given the paperwork to complete upon your arrival. After meeting with your obstetrician or infertility specialist, you will be referred to Georgia Perinatal and benefit from early diagnosis, screening and treatment of obstetrical and gynecological conditions. Patients will be greeted by one of our registered diagnostic medical sonographers who specialize in Obstetrics and Gynecology. They will perform precise ultrasound scans to help physicians evaluate any situation that might arise. After our sonographer spends time with you, our physicians will perform a more specific ultrasound scan and have a comprehensive discussion with you about your pregnancy. 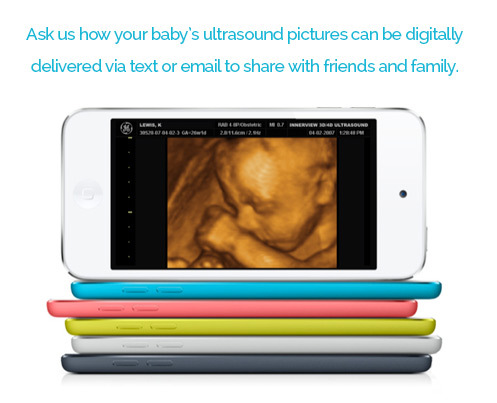 This system allows for the highest level of accuracy and attention during your pregnancy. Patients are given the time they need with their physician and are encouraged to ask questions. Our facility is also unique in that we have physicians board certified in Radiology, Genetics and Fetal Echocardiography in addition to Maternal-Fetal Medicine. This aids us in early diagnosis and treatment of complex medical problems right in our office. We are currently the only Maternal-Fetal Medicine practice in Georgia that holds such a diverse range of board certifications. Georgia Perinatal Consultants are proud to be Gold sponsors of Miracle Babies at Northside Hospital. Read how Georgia Perinatal launched the Northside Hospital chapter of this 501(c)(3) nonprofit in support of families with babies in the NICU.